The first 10 Cosmic Kids yoga adventures including guided relaxations and follow-on activities to extend your classes. (34 page Digital Download). 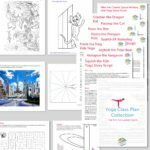 The first ten Cosmic Kids episodes as yoga script plans. 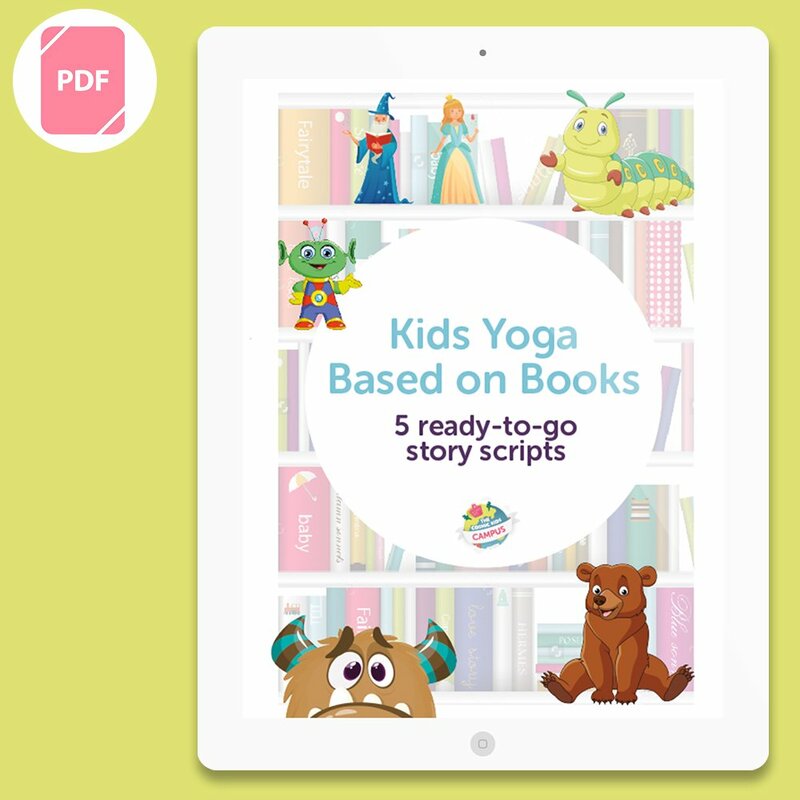 A useful resource for kids yoga teachers. 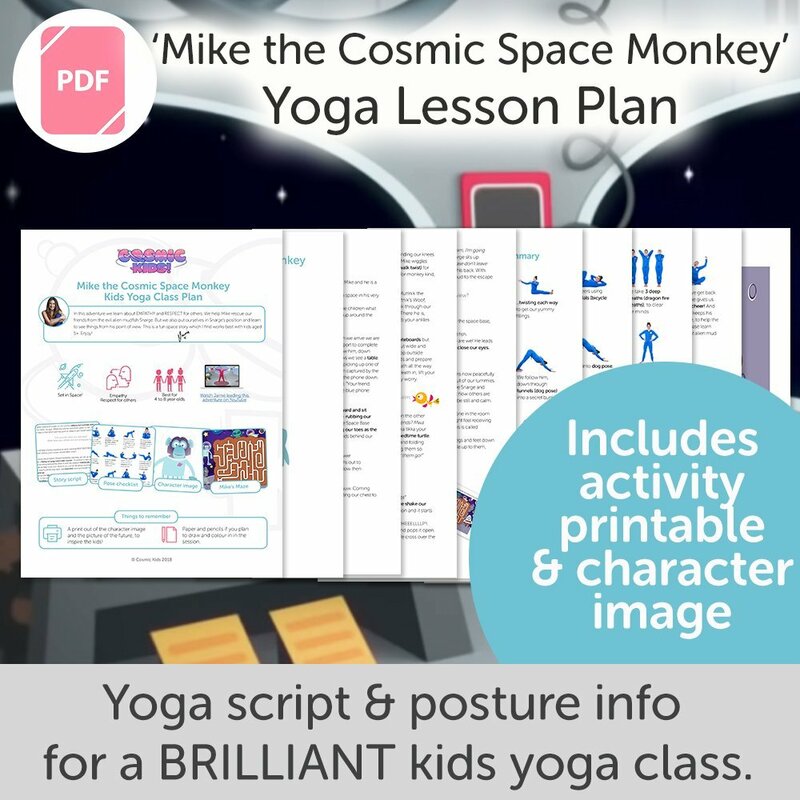 The product is a 34 page PDF – including a story script for each of the 10 first Cosmic Kids yoga adventures, including all yoga postures highlighted, a guided relaxation for each story and a follow-on activity. Please note, these are scripts for the yoga adventure with the poses highlighted in bold. 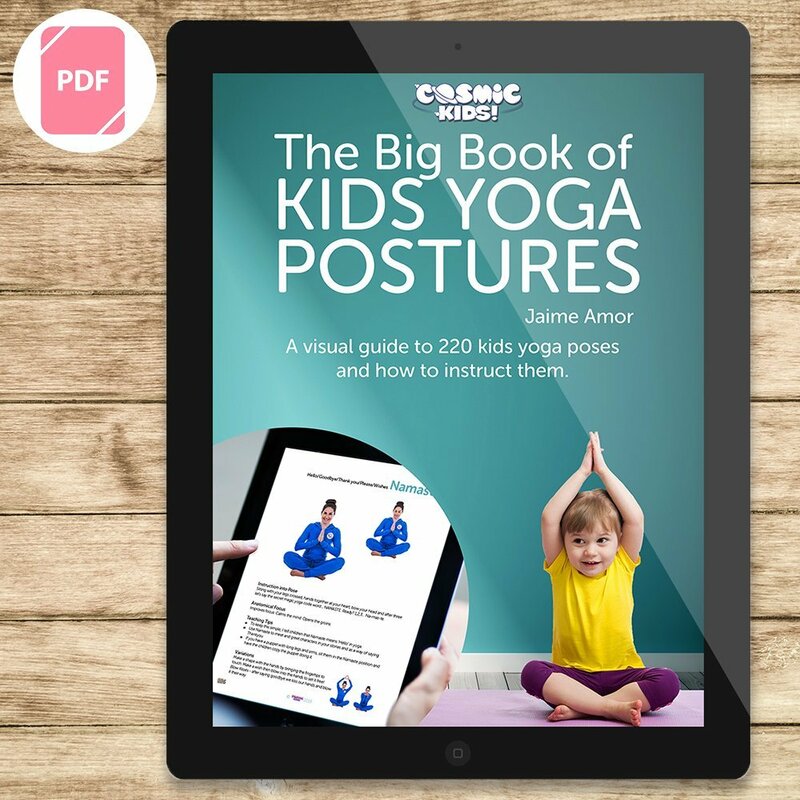 If you need help learning the postures, please download The Big Book of Kids Yoga Postures or view our free posture videos on YouTube. To become a kids yoga teacher join us for our online teacher training. 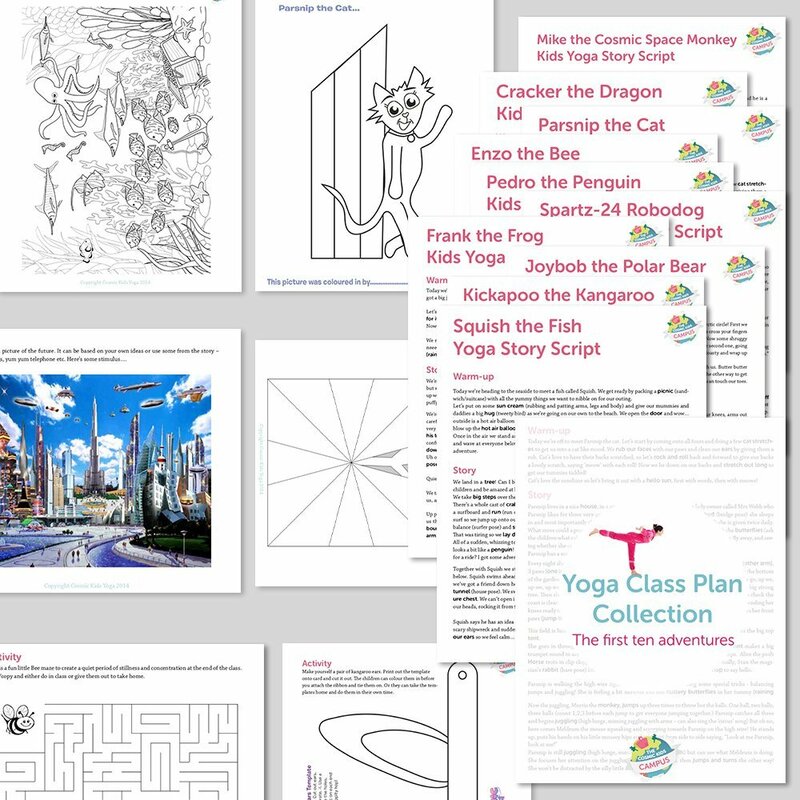 To see examples of our class plans, please download the free Sample Class Plan Pack. You can watch ALL of these yoga adventures on our YouTube Channel! These should cover you for at least 10 weeks of kids yoga classes! ENJOY! 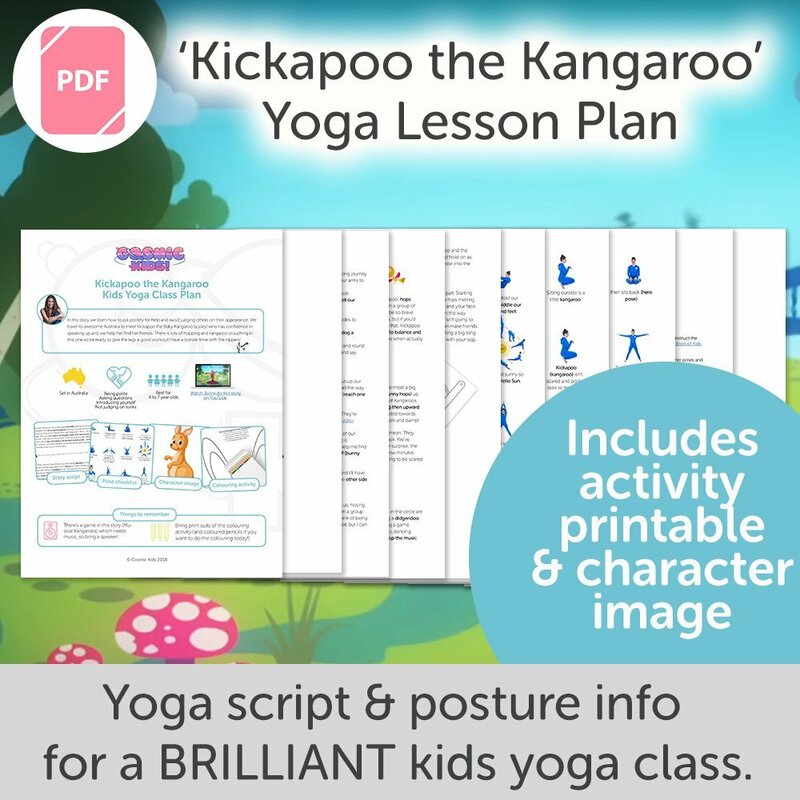 Kickapoo the Kangaroo Kids Yoga Class Plan – NEW STYLE!